This wonderful wooden Farm Play World set is made by the French toymaker Janod. 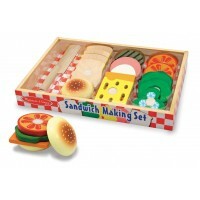 This 23 piece set includes everything children need to create their own farm play set! 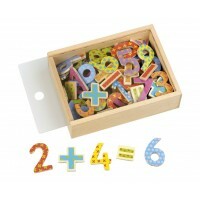 The set comes in a sturdy box made from heavy duty card that has been designed as a farmhouse and barn. The wooden pieces include a farmer, farmer's wife, 2 cows, a chicken, a duck, a pig, a dog, a sheep, a donkey, a rabbit, a horse and rider, a tractor with trailer, 4 fence sections, a hay bale, 2 trees and a water trough. 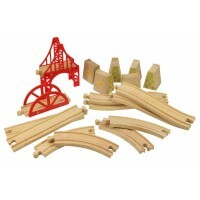 This wonderful Farm Play World is also ideal as an accessory or centre piece for wooden train sets. Size: 27.5cm x 5cm x 20cm.